You can get by in Italy’s major cities without speaking Italian, but just a few phrases will go a long way in making friends, inviting service with a smile, and ensuring a rich and rewarding travel experience – you could experience a delicious meal at a no-menu trattoria, find a hidden art gallery off the tourist trail, or discover the best cappuccino in Rome. What is a Fast Talk book? 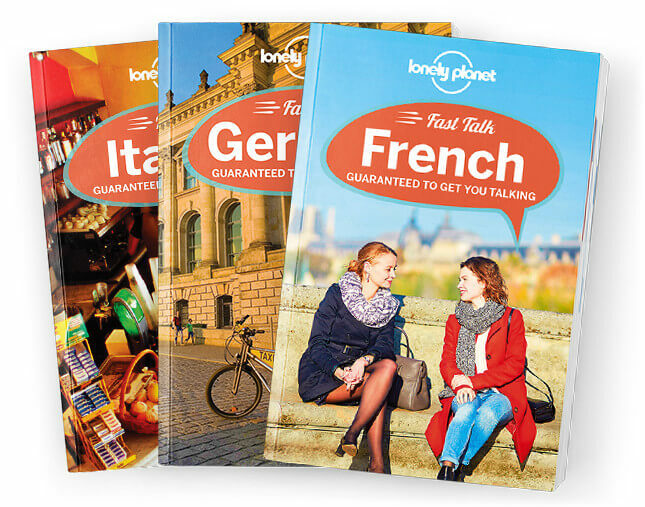 Shorter and more concise than our Phrasebook & dictionary series, these provide the essential words and phrases for a weekend or short trip away.